With 299 faculties, 1,800 graduate students and more than 8,700 undergraduates, the W.P. Carey School of Business at Arizona State University (ASU) is one of the largest business schools in the United States. 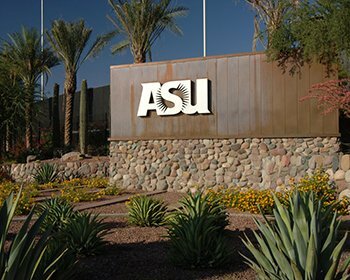 Up to 700 computers are online at any one time in the business school so ASU required a solution which would allow its IT team of 20 to provide remote IT support to staff and students, solving issues as they arise without the need to travel around campus. Arizona State University (ASU) has 1000 computers on multiple platforms at the W.P. Carey School of Business, of which approximately 700 are online at any one time. ASU required a solution which would enable its team of IT support staff to take remote control of any computer within the business school and solve problems quickly and effectively. With the large number of staff and students on campus requiring access to computers for research and coursework, it is important Arizona State University keeps them online. Having initially tried a number of products, Arizona State University chose RealVNC software for deployment throughout its W.P. Carey School of Business. Now IT support staff can use RealVNC software to connect to and control computers around campus to resolve IT issues and troubleshoot remotely, without needing to leave their desk. As well as being a cost effective solution for providing remote IT support, ASU found RealVNC software with an Enterprise subscription to be superior in terms of performance and reliability in comparison to the other remote access products they tried. 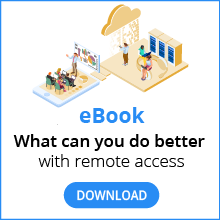 RealVNC remote access software is fully cross platform, which enables IT staff at the school of business to connect to computers on different operating systems around campus, regardless of which operating system their own computer is running on. With such a large number of computers it was important for ASU to find a solution that was fully cross platform to provide support. Many of the features offered by RealVNC software play a part in the effective running of the campus computers. The high level security and robustness it offers means that it proved to be the ideal solution for Arizona State University, enabling quick and effective troubleshooting with minimal disruption to campus activity.